Sometimes it’s the little things that make a difference. While corbels are often overlooked as support structures, some of them feature designs that really catch the eye and have the ability to transform a space. At Timeless Wrought Iron, we have 5 wrought iron corbels with awe-inspiring designs that truly impress at every installation. 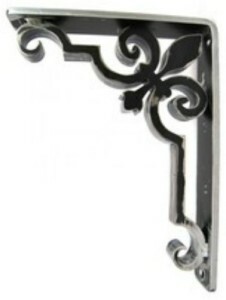 Boasting an obvious fleur-de-lis, or lily symbol, in the corner of the plates, this Charlotte wrought iron corbel is designed to make an impression. The symbol was once commonly used in French heraldry and today it still evokes a feeling of aristocracy and prestige. By putting such an iron corbel design in your home or business, it provides a subtle upscale ambiance, especially amongst ordinary decor. 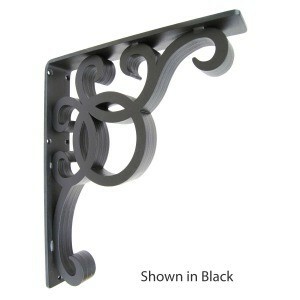 Elegant and graceful are two words that appropriately describe the Jillian wrought iron corbel. It merges a basic geometric circle with two simple scrolls to create a stunning symmetrical pattern that wows with certainty. Place under a marble countertop or fireplace mantel for the most dramatic appearance. 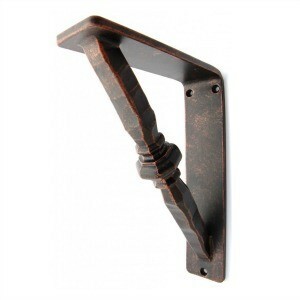 We’d be hard-pressed to find an alternative iron corbel that manages to create such a fashionable setting. Bring a touch of nature into your home or business environment with the Willow wrought iron corbel. With a central support section that branches upward like a tree, this corbel fits perfectly beneath wood shelving and fireplace mantles or in tool sheds, greenhouses, and outdoor spaces – all places where elements of Mother Nature come together. 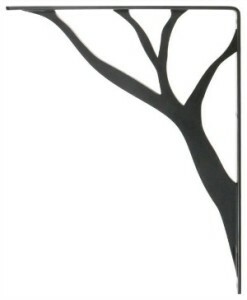 And just like a tree, each Willow wrought iron corbel is sturdy, timeless and slightly unique. 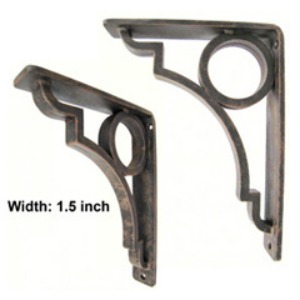 With a giant circle set between the plates and central connector, the Grant wrought iron corbel comes off as very intriguing. And intrigue can be a wonderful thing when it comes to your decor. The style of this corbel is so simple, yet so captivating, that it can practically fit any modern, contemporary or traditional space. Try using it as a support structure where everything is linear and the central circle will add a welcome pop of character. The Cooper wrought iron corbel is less intricate than the others on this list, but what it lacks in complexity it makes up for with bold and stately intention. The top and back plates are connected by a singular rod featuring seemingly rudimentary handcrafted cuts and a central stump that looks more like the hilt of a broken sword. Despite its crude appeal, when situated below an overhang or a shelf, the Cooper wrought iron corbel makes a statement and yields a second look every time. If you’re as inspired as we were when we first laid eyes on these corbels, then just imagine all the ways you can use corbels to enhance your décor. You’ll be amazed how a small change can have such a big impact on your room!